Visit the center to discover the connection between nature and history. 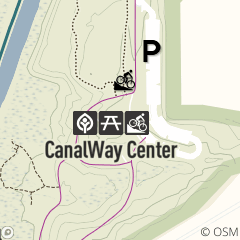 Whether you are looking for a place to relax, find out about recreation opportunities or enjoy an educational program, you should visit CanalWay Center. The center highlights the natural and cultural history of the surrounding area. It features a canal boat play area, a bird viewing room, examples of native and invasive wildlife species, and a meeting place. $75/hour (2 hour minimum) 9:30 a.m. -- 4:30 p.m.; $800 6-11:30 p.m.